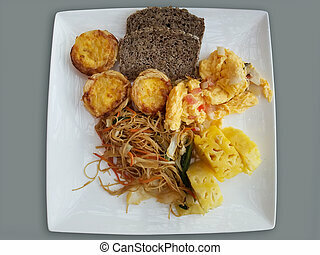 Assorted Asian food breakfast plate with fried rice noodles, cheese pastries, egg omelet, pineapple, and slices of multigrain bread. 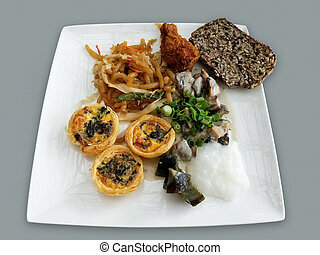 Assorted Asian food breakfast plate with noodles, nest tart pastries, mushroom, green onion, rice, multigrain bread and fried chicken. 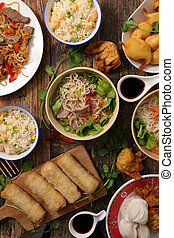 Assorted Asian food breakfast setting with a plate with fried rice noodles, crab chips, egg omelet, chopsticks, together with a mixed salad bowl, isolated on a pink background. 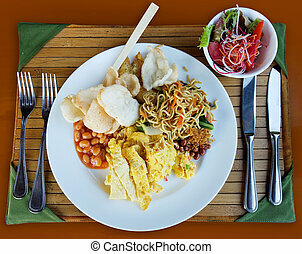 Assorted Asian food breakfast setting with a plate with fried rice noodles, crab chips, egg omelet, beans, together with a mixed salad bowl on a bamboo tray with silverware and chopsticks. 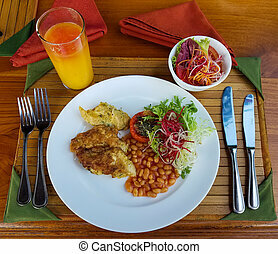 Delicious Asian food breakfast setting with an orange juice glass, a plate of beans, omelet and fried chicken, and a bowl with assorted salad. 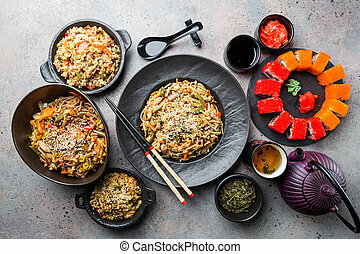 Delicious Asian food lunch setting with a bowl of rice and fried vegetables and a plate of beans and drunken dumplings, isolated on a violet background. 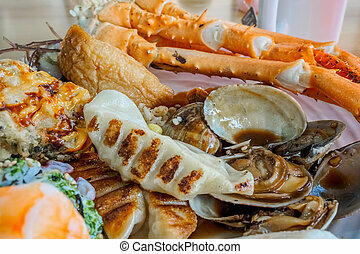 Assorted cooked food, including seafood, on a plate. 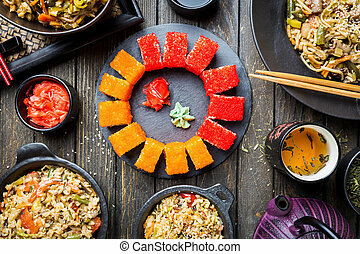 Asian food set served on gray stone background, top view. 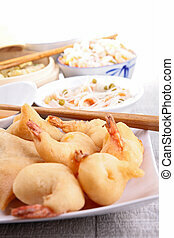 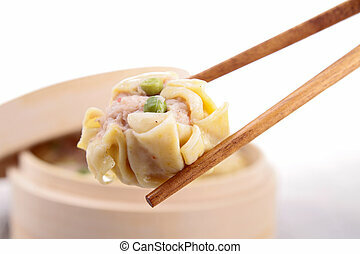 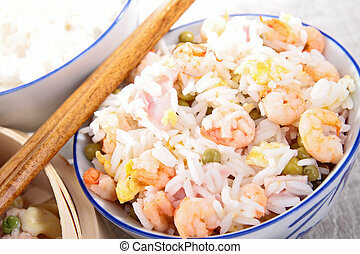 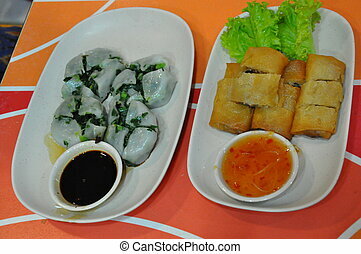 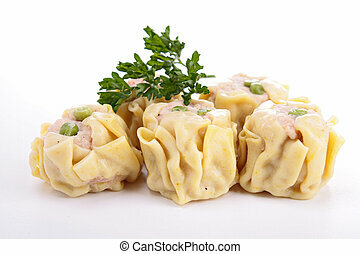 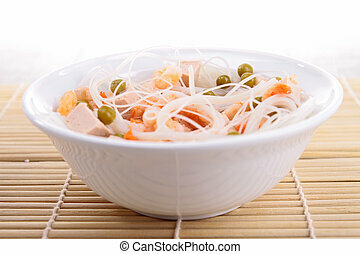 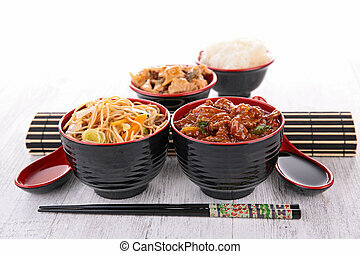 Chinese, japanese and vietnamese cuisine, sushi, rice and noodle. 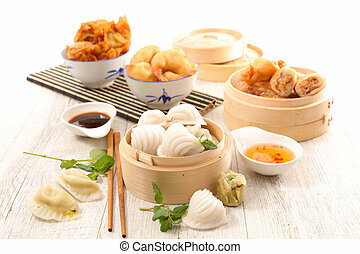 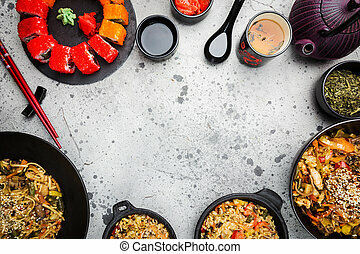 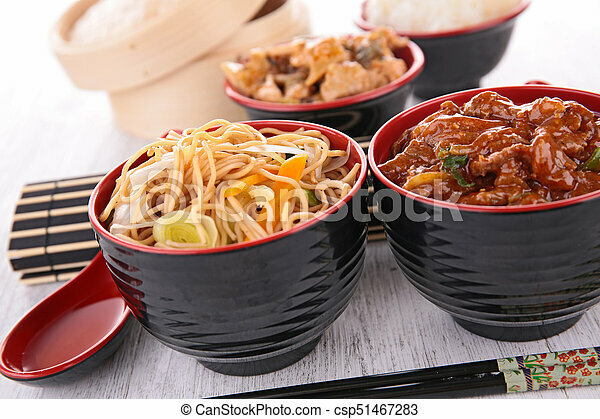 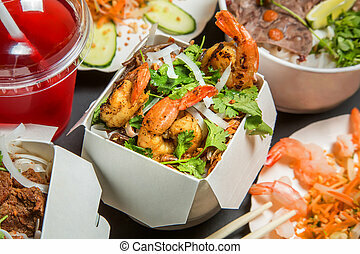 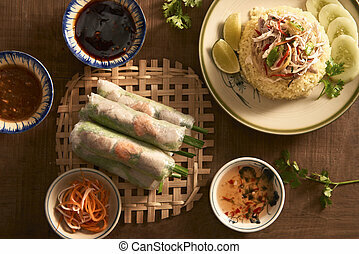 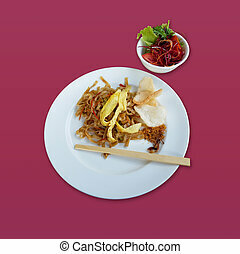 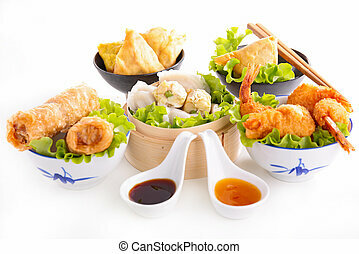 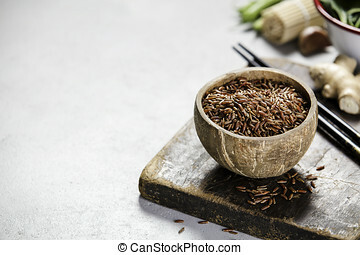 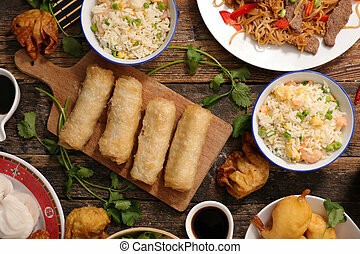 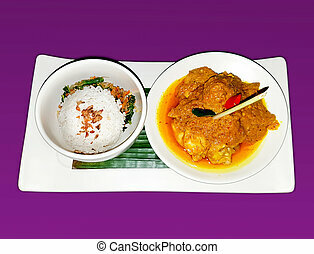 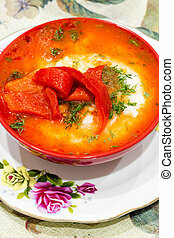 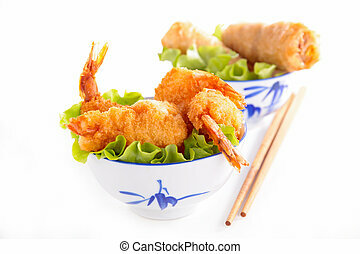 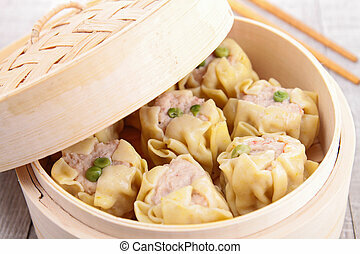 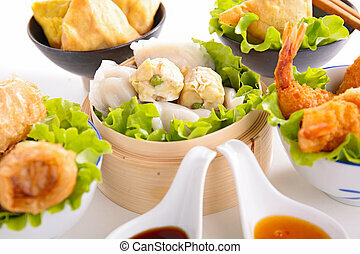 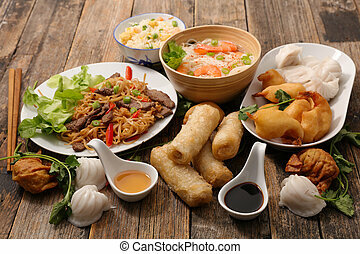 Asian food set served on black wooden background, top view. 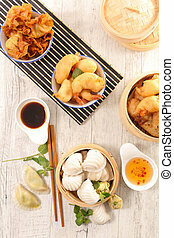 Chinese, japanese and vietnamese cuisine, sushi, rice and noodle.